By now everyone knows that rapper Kanye West has every intention to run for President in 2020. He made the announcement at the VMAs and the world has been left wondering just how serious he is ever since. Now, the 44th President of the United States, Barack Obama weighed in on the situation – with a little advice for Kanye. President Obama gave Kanye some advice about running for president in 2020 during a speech at a Democratic National Committee fundraiser in San Francisco on Saturday, October 10. 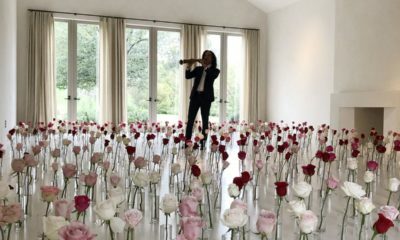 The event featured a performance by the rapper. Kanye is thinking about running… for Speaker of the House. It couldn’t get any stranger. But in case Kanye is serious about this whole POTUS thing –- or as he calls it, ‘peezy’ –- I do have some advice for him. First of all, you have to spend some time dealing with some strange characters who act like they’re on a reality TV show. You gotta be cool with that. Second important tip: Saying you have a beautiful dark twisted fantasy — that’s what’s known as off message in politics. People have lost congressional seats that way. And number three: Do you really think this country’s going to elect a black guy from the South Side of Chicago with a funny name to be president of the U.S.? That’s crazy. Cray. 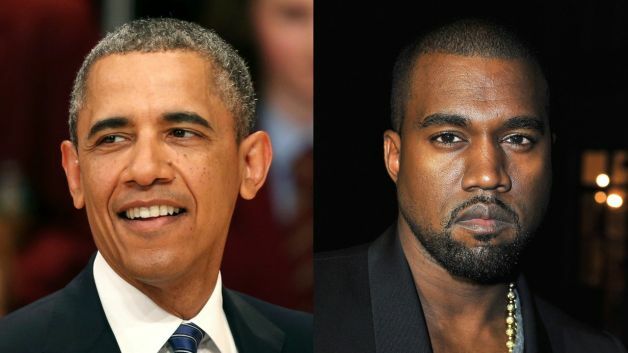 Obama and Kanye are both from Chicago’s south side. 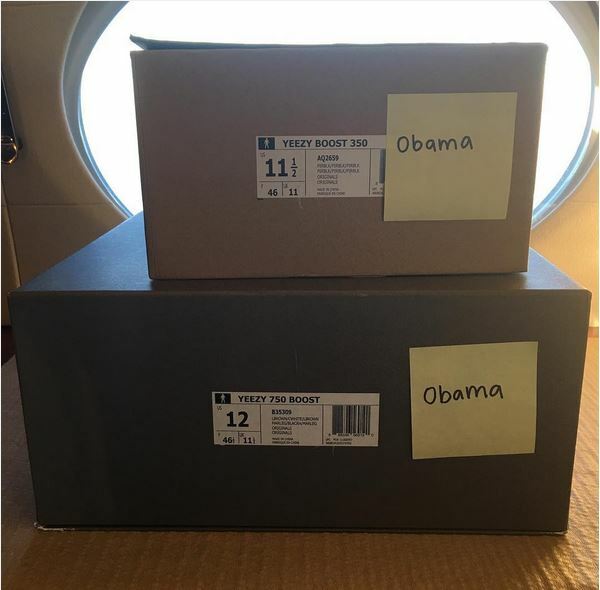 In response, Kanye West sent out two pairs of Yeezys to the President and shared the photos on social media. 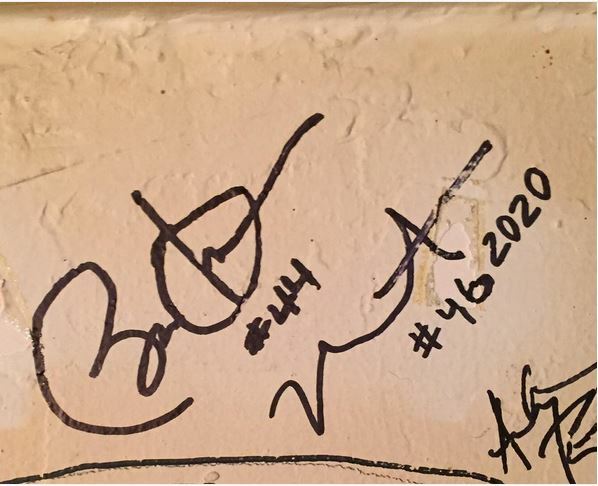 One photo showed two boxes containing shoes from West’s line, Yeezy Boost, with the name Obama on both while in the second photo, President Obama’s signature with the number 44, is next to Kanye’s signature with the numbers 46 and 2020, signifying Obama as the 44th president and West as the 46th president, if he were to be elected. A step starts a thousand mile. Mr West has started the process. Stay in your country and be of benefit o fearful one. You think Donald Trump as President will tighten immigration??????? ?My God! you’re funny!! Obama isn’t a cooler President than Theodore Roosevelt or hell even his imperial ruler for life Delano. Lmao!!! That’s my Presido ( Obama).. Lol @ Kanye. 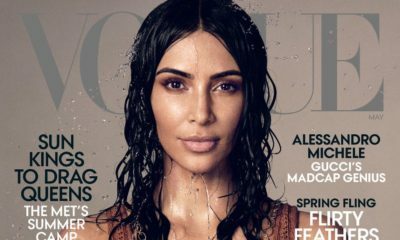 When I think of Kim bn the First lady of the United States, I can’t help but cry while laughing.. Secondly, as for Donald Trump I’m still begging someone to get him off my screen. Oh wait no1 can do anything about it until his opponent knocks him out. But dammm I’d vote for Ivanka before him ( that’s if she was running for the house). Was Mr Obama mocking Kanye West or genuinely advising him? I don’t really get it! I bet Obama nd Michelle had a good laugh when Kanye announced he would run for president, 2020. 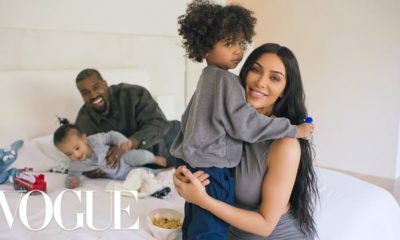 Kanye is rude, stupid and arrogant he will never be my president… Rubbish..
Kanye West is someone that gets bored in life easily and loves challenges but I fear the US presidency is not something to play with. He went from being a producer, got bored and became a rapper, got bored and decided to go to fashion. He always used to rant about how he wanted to build a fashion house by a black man in the likes of Louis vuitton, givenchy and the rest. Now that fashion is not going too straightforward, he’s diving into presidency. Lets not forget this man is a drop out and apart from his partnerships with fashion houses, he has not actually built a sustainable global company that I can think of. Kanye Kanye….. You have much to learn young padawan. I wouldn’t be surprised if it actually happened coz they would have already arranged it in their Illuminati circles. afterall, dont they rule this dark world?